These schools will give you a degree in booze. Yes, really. You could go to school to get a degree in something useful, like medicine, but what're you gonna do with that? Help people?! And while there are plenty of good reasons to hit up a college campus -- we're talking about going back to school for completely legitimate programs in brewing, winemaking, and sommeliering. They've been gaining serious traction in the last couple of years, so now seems a good time to introduce you to a few big ones. 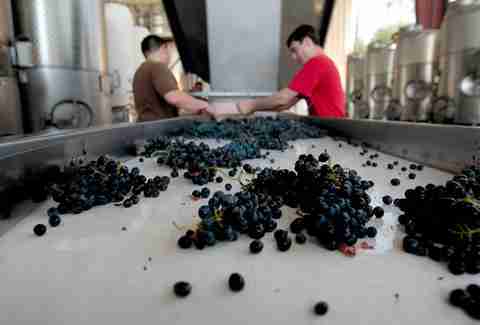 California State University, Fresno - They've been producing wine since 1997. Commercially. So even if you're a humble sophomore with big vitner dreams, you can still create wines -- under professor supervision, of course -- that go on to win real medals. No Franzia for their house parties. Cornell University - Already known for its stellar hospitality program, they brought the first teaching winery to the East Coast in '09. Undergrads who choose the Viticulture and Enology major can either focus on grape production or the nitty gritty of the winemaking process. Either way, it's a highly selective program with highly coveted access to the $900000 campus winery. Washington State University - Though it's still in the process of building its own grapevines, WSU offers a Viticulture and Enology major, too, and those lucky students get to go on wine tour fieldtrips in Australia! Presumably they travel by koala bear. UC Davis Extension - Generally a power player in all things beer or wine-related, the Cali school is also in on the viniculture game, offering a slew of classes covering everything from table reds analysis to tasting room design. UC Davis Extension - Not content to kill it at winemaking, they also have a brewing certificate program consisting of 11 requisites, an internship, and two electives. Oregon State University - OSU nabbed $1.2mil in August to expand their fermentation sciences program that'll go to fund a brewery and a vineyard. They'll be worth a look when it gets up and running. Siebel Institute of Technology - The Chicago brewing school claims to be America's oldest, as they've been teaching the art of beer since 1872. (Even those buzzkill Prohibitionists couldn't keep it down!) 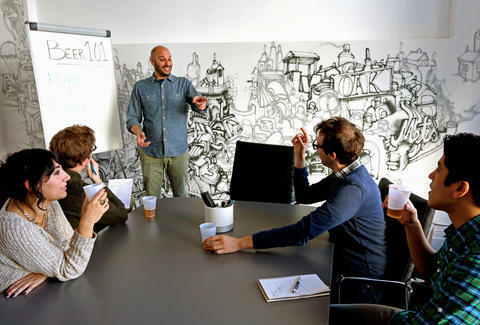 On top of offering its own array of laser-specific brew science courses, Siebel has crucial study abroad ties to the Doemens Academy in Munich. Doemens Academy - These guys again! The German school has a complete set of equipment -- pilot malting system, computer-controlled brew system, open and closed fermentation vessels, microbiology lab, and a Krones-designed bottle packaging line -- plus a sterling international reputation to boot. VLB Berlin - Prior to enrolling, you have to prove you slaved for three months in a brewery, but your tenure at BJ's Restaurant and Brewery is probably cool. 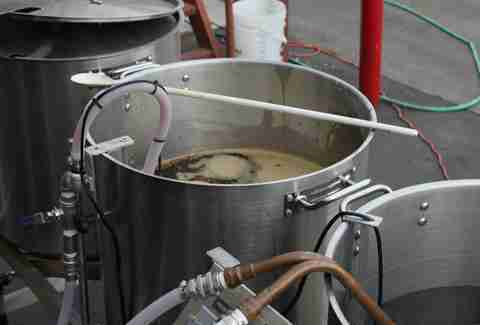 The six-month program is a full-time deal, beginning with wort production and going through to keg disinfection. Get your 13800 Euros ready. French Institute of Drinks, Brewing and Malting - They are dropping serious science on their students, spearheading R&D in important beer business like "microflora management in the malting process". The Scandinavian School of Brewing - Try to contain yourselves, Angry Orchard diehards: the Copenhagen school's got an all-cider course. The Metropolitan State University of Denver, Harper College, El Centro College (and many more) - For the International Sommelier Guild's three-part program, the programs are offered in schools all over the place, including Chicago, Dallas, and Denver. The ISG version offers two "fundamentals" courses totaling 24hrs and 48hrs of collective class time, respectively. Once you've gone through both, move onto the exponentially more intense diploma program, which is held once a week for six months, clocking 8hrs per class. But once you pass, you're officially a sommelier. Algonquin College - If you want to spend time studying in Tim Horton's, you can enroll in the program in Ontario. Boasting the region's only certification program, Algonquin requires eight courses that run 6-16 weeks apiece. But there's some variety in there, since on top of "Grape Varieties" and "Old Wine Regions", they mandate a beer class. You can even throw in "The Whisky Course" if you've got time for an elective. And for whisky, you should. Boston University - Perfect for those who just want to take a bunch of wine classes before sitting down for a sommelier exam, the Elizabeth Bishop Wine Resource Center at the Metropolitan College offers four levels of wine studies along with classes on special topics of interest. Though you won't come out of it with a widely-recognized certification, you'll be able to call wines blindfolded by the end of level three. It's totally a thing! But a relatively new thing at that, which narrows the educational pool. Siebel - This school is putting in work. Experts recommend taking classes here, particularly their beer styles courses, as it offers great prep to become a "cicerone", a certification program that involves three tests and a whole lot of beer know-how to complete. University of Central Florida - Head to sunny Orlando for the Seminar in Quality Brewing and Fine Beer, which offers the first-level Cicerone exam as its final. 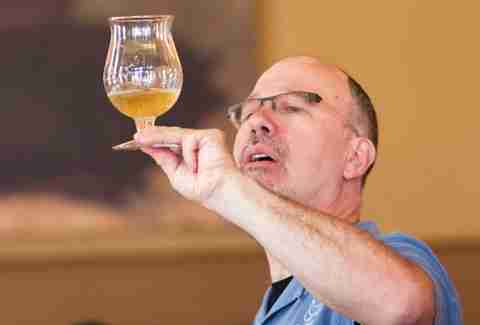 Prud'homme Beer Certification - If being a cicerone seems too hoity-toity (or like too much work), you can attend these classes in Canuck brewpubs, or online. Kristin Hunt is a food/drink staff writer for Thrillist, and is still living by her Beer & Wine Appreciation professor's gospel. Follow her at @kristin_hunt.